When Ethan Wayne, son of one of America’s silver screen greats, unlocked the vaults containing the carefully cataloged stuff of his father’s life, he found memoirs, costumes, scripts, John Wayne’s Oscar for True Grit . . . and an entire vault dedicated to Wayne’s liquor collection. A perfectionist on the set and off, the “The Duke” was often quoted as saying, “If I’m going to have a drink, it had better be a good one.” And Ethan recalls that, even as a boy, he knew his father dreamed of creating his own spirits. But here was proof: Along with his favorite bottles dating back to 1962, there were recipes and shiners—unlabeled bottles containing Wayne’s trials. He had left evidence of just the kind of whiskey he was trying to make. It was a “message in a bottle” too compelling to resist, so Ethan partnered with industry pro Christopher Radomski and master distiller Jacob Call of O. Z. Tyler distillery in Kentucky. The team began tasting and deciphering, reverse engineering the recipes to find out exactly what the whiskey profile was that Wayne was working towards in the 60s. It was balanced and smooth, according to Radomski—more like a fine scotch, tilting slightly more toward rye than most today. 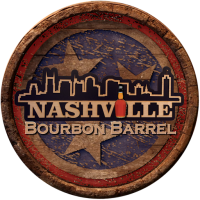 The Duke Grand Cru Founder’s Reserve Kentucky Straight Bourbon (110 proof) opens with floral notes blending into orange, caramel, toasted hazelnuts, and vanilla; the palate is smooth and bright, with a savory edge on the brown sugar character. 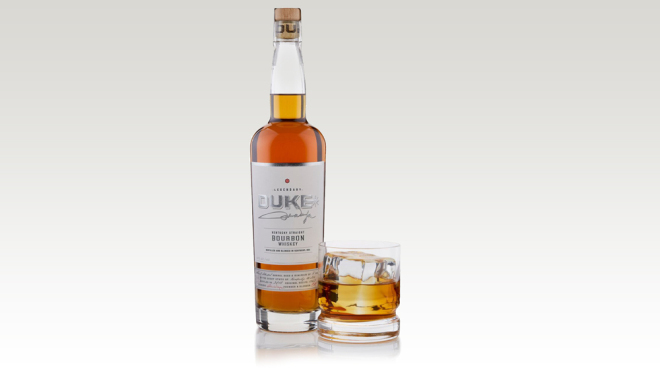 The Duke Double Barrel Founder’s Reserve Rye Whiskey (98 proof) has spent time in wine barrels, plus a finish in wine barrels that have also held Duke’s bourbon, with a velvety result. Cherry, marzipan, and vanilla bean give way to sultry smoke and spice. This is how the Duke wanted it.